ISLAMABAD, Sep 9 (APP): The 5-day training programme in traditional truck art organized by National Institute of Folk and Traditional Heritage (Lok Virsa) concluded here at Shakarparian on Friday. 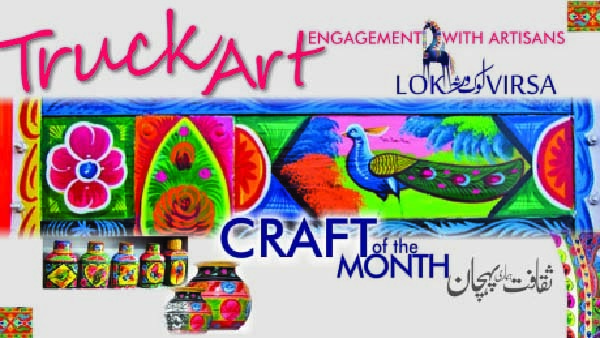 It was part of the series of programmes that Lok Virsa is currently holding under the title “Craft of the Month” with a major objective to promote traditional skills, giving knowledge to young generation about the importance and utility of different crafts. Seventy students/children from the schools running under the administrative control of Federal Directorate of Education, Directorate General for Special Education and children of the visitors to Heritage Museum participated in the program and learnt craft making techniques from master trainers/artisans between September 5-9, 2016 at the beautiful surroundings of the Heritage Museum. Master artisans Habib ur Rehman said “it was a unique experience for me to teach craft making techniques to children. They were keen to know each and everything involved in the process. They have even given me ideas and suggestions how can I make new innovations in my profession I tried to transfer my knowledge to them in an interactive manner”. that I can practice truck art at home”. The venue of Heritage Museum was decorated with beautiful truck art items and related accessories.